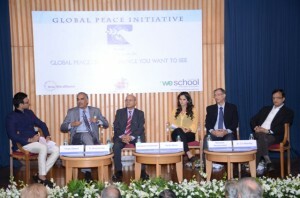 As Mumbai bowed to pay respect to the martyrs and victims of 26/11 attacks on Mumbai on its 4th anniversary, WeSchool facilitated a panel discussion aptly titled, ‘Global Peace: Be the change that you want to See‘, based on a research paper titled, ‘Circles of Peace’ prepared by its students. The discussion saw eminent panelists like Ms Sania Mirza, Indian tennis Star, Mr Niranjan Hiranandani, Co-founder of the Hiranandani Group, Mr D Sivanandan, Ex – Director General of Police, Maharashtra state, Shri. S S Mantha, Chairman – AICTE and Mr Shailesh Haribhakti, Chairman, BDO Consulting Ltd. which was hosted by Actor, Mr Vivek Oberoi. 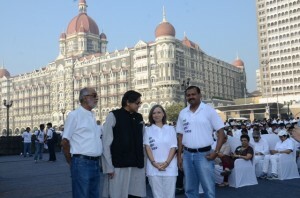 Diplomatic community based in Mumbai, corporate leaders, eminent citizens, media personalities were also present in multitudes to express their solidarity with the Global Peace Initiative. Hon. Ms Asta Johannesdottir, Speaker of the Parliament of Iceland was the Chief Guest on the occasion. Iceland is ranked as number one in ‘Global Peace Index’, in a study published by Australia and US-based Institute for Economics and Peace (IEP) in June 2012. Iceland has been at this rank for two years in a row. 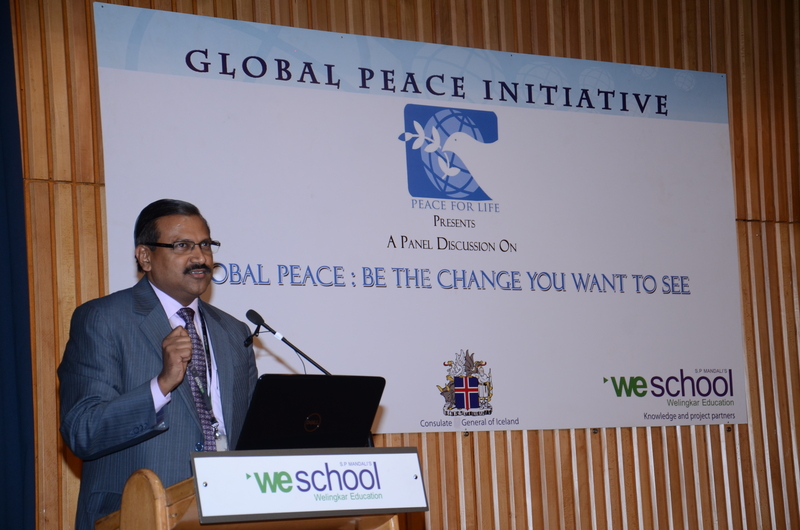 ‘Global Peace Initiative’ was conceptualized by Ms Kia Scherr of One Life Alliance, an NGO, jointly with WeSchool as its knowledge and project partner and by Mr Gul Kripalani, Hon. Consul General of Iceland in Mumbai as its Convener. The research paper triggered an interesting discussion that gradually got remolded into an insightful session of exponential deliberation. The report highlights important aspects of peace building efforts and throws light on organizations that are working towards this common goal. The power of ‘I’ in maintaining peace building by first changing ourselves to be at peace abd acknowledge that our efforts can lead to a more peaceful society that respects the sacredness of life, thus asserting Mahatma Gandhi’s quote “Be the change you want to see”. A Peace structure consisting of: well functioning government; sound business environment, equitable distribution of resources, acceptance of the rights of others, good relations with neighbors, free flow of information, high levels of education and low levels of corruption was highlighted. World peace is not a dream; the journey is arduous but outcome of possible. 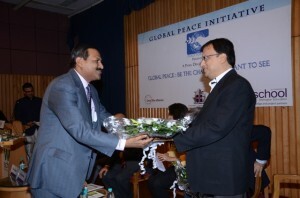 One must not lose hope and strive for global peace for generations to come, .was the theme that was highlighted in the research paper and discussions that followed. Commenting at the panel discussion on how important are sports and sports personalities for international peace, Ms Sania Mirza said, “Sports is one profession that can bring peace and equality without any boundary, race, culture or nation. We as sports people can become goodwill ambassadors and help spread peace globally”. Mr D Sivanandan, while sharing his views on issues like terrorism, organized crime and Naxalism that create havoc with peace in the country, said, “What we need is capacity building, resources, free sharing of real-time information between law enforcement and intelligence agencies. We need people who are energetic, who mean business and are committed to the cause of peace”. 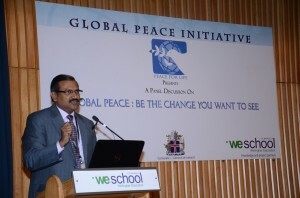 Speaking about this landmark initiative, Prof Dr Uday Salunkhe, Group Director, WeSchool, said, “This is a proud moment for WeSchool and me personally to be a part of the Global peace initiative where we are jointly laying the foundation of a dialogue for world peace and harmony. Nurturing the Global Citizen Managers that look beyond the narrow confines of their careers to the wider spectrum of issues concerning the society and world forms the core of all WeSchool’s endeavors. As the power to bring change lies in the hands of the youth, it is essential that youth be empowered to understand their role and responsibility in building a better world. This is just a beginning and WeSchool will continue its efforts in spreading the message and creation of structures of peace in the times to come”. The panel discussion was then followed by an event, ’We Wish You Peace‘, at which the WeSchool students presented a song, penned and set to music by them for the occasion. Several prominent personalities from the Indian film, television, sports, corporate world and education walked the ramp with children from NGOs for the cause of Global peace. The Day 1 of the Global Peace Initiative on November 25, 2012, witnessed a ‘Peaceathon’, a walk for peace that was flagged off from CST, Churchgate and Trident at 8.00 a.m. Dr Shashi Tharoor, Ho’ble Minister of State for HRD, Govt of India, joined Prof Dr Uday Salunkhe, Group Director, WeSchool along with students and citizens of Mumbai at the Gateway of India where they took a pledge of peace in the presence of representatives of several religious and spiritual communities, corporate leaders and diplomatic community.